A very good friend to generations of children passed away on January 23, 2004, and I’m sure I was not the only person to be sadden by this news. His real name is Bob Keeshan, but he was best known as Captain Kangaroo. This gentle man was responsible for a lot of enjoyment he provided through his television show broadcast from 1955 to 1993. Some of the characters I remember on his show that came from the Treasure House were Mr. Green Jeans, Bunny Rabbit, Mr. Moose, Grandfather Clock, Dancing Bear, and the Magic Drawing Broad. Each program began the same way, with the Captain jangling his keys as the theme song played. And just as the Captain hung up the keys, the music would stop. Each segment would always include Bunny Rabbit doing his best to try and trick the Captain out of a bunch of carrots, and Mr. Mouse would never fail to have a "knock-knock" joke. The Captain would usually be the victim of ping-pong balls cascading down on his head at some point in the show, usually as a result of something Bunny Rabbit had gotten away with. Mr. Green Jeans would bring in all sorts of animals to visit in the Treasure House. Grandfather Clock was always napping, and would have to be awakened each day with help from the viewing audience. It was a show that taught children about friendship, how all sorts of adventures could be found in books, and how to love and care for animals. Captain Kangaroo never preached to his audience, but his beliefs in creative educational entertainment for children made his show an exceptional one. "Bob Keeshan was born in Lynbrook, NY. in 1927. He became a page at NBC while he was in high school. He joined the Marine Corps in 1945. For three years, he attended Fordham University, and years later, Fordham was one of at least 14 colleges that gave him an honorary degree. He was working as a "cue-card boy" for "Buffalo Bob" Smith of "The Howdy Doody Show" when he walked in front of the camera by accident. The producer said that if Keeshan was going to be on camera, he should be in a costume, and the only costume available was a clown outfit. Eventually, the character evolved into Clarabell the Clown who didn’t speak, but honked horns and sprayed seltzer all over the host. Keeshan played the role for five years. He later played Corny the Clown, host of a noontime cartoon program in New York, and Tinker the Toymaker on ABC in 1954. 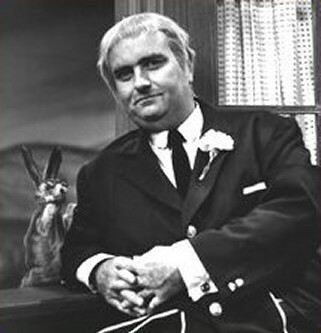 Captain Kangaroo was a name often attributed to the pouch like pockets in his jacket, but Keeshan insisted that he decided on it because the words sounded good together. The show debuted October 3, 1955, and Keeshan was 28 years old. He also created a year-long show on CBS, "Mr. Mayor", and produced a CBS Afternoon Playhouse show, "Revenge of the Nerd." He did radio commentary in the 1980s and wrote and edited books for children. In 1987, he and former governor Lamar Alexander co-founded Corporate Family Solutions to provide day-care programs to businesses. His wife of 40 years, Jeanne, died in 1990. Survivors include three children, Michael, Laurie and Maeve, and six grandchildren. Although his family did not give a cause of death, Keeshan had a heart attack and triple bypass in 1981. More than 5,000 children sent him get-well cards and letters. The Captain was critical of today’s TV programs for children, saying they were too full of violence. And he spoke wherever he went about the importance of good parenting. Even after he left the role in the early 1990's, Keeshan remained a children’s advocate, criticizing most television programming for youngsters, urging good parenting and speaking out against tobacco." I’m sorry the children of today won’t have Captain Kangaroo to begin their day with. All three of my children spent most every morning with the Captain, and I’m happy I have these memories that include this kind and gentle man that came into our tiny little living room by way of a black and white television so many years ago. Thank you, Captain Kangaroo, for something good and positive your programs represented, and for all you did to make our world a better place to be in.